A prisoner has been refused permission to appeal against certain aspects of judge’s decision in his legal action against prison authorities for opening letters addressed to him. William Beggs, the so-called “Limbs in the Loch” murderer, is seeking £5,000 damages from the Scottish Ministers over the “unlawful” opening of his personal correspondence, and a judge allowed his application for judicial review to proceed, but only to a limited extent. 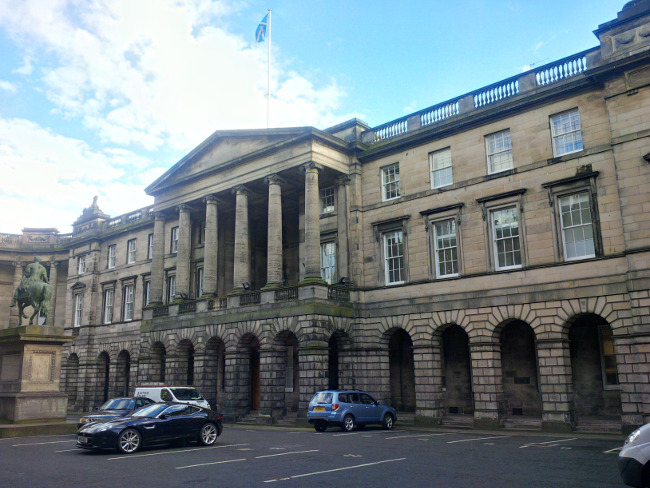 The petitioner enrolled a reclaiming motion in relation to those matters which were refused following an oral hearing, but the application was lodged one day after the seven-day time limit and Lady Clark of Calton in the Inner House of the Court of Session ruled that there was no provision for the court to exercise its discretion to allow the motion to be received late. Beggs, who was sentenced to life imprisonment in 2001 with a punishment part of 20 years after being found guilty of the murder of18-year-old Barry Wallace in 1999, had asked the judge to decide whether it was competent for the court to exercise discretion in terms of Rules of Court 38.8(d) and 38.10 to allow the reclaiming motion to be received although one day late. Counsel for the respondents, Daniel Byrne, submitted that the reclaimer’s motion was “misconceived”, firstly because the time limit was a statutory time limit under section 27D(2) as inserted in the Court of Session Act 1988 and there was “no discretion” given in the statutory provisions to extend the appeal time limit. Counsel contended secondly, that on a plain reading of Rule of Court 38.10, the rule related to the extension of reclaiming days only and it was “not a legitimate interpretation” to equate the seven-day period allowed under section 27D with “reclaiming days”. Thirdly, it was argued that the statutory context was consistent with a system in which there was “no judicial discretion” under the rules to extend the time limit. Counsel for the petitioner, Kenneth Campbell QC, submitted that the statutory appeal under section 27D did not provide any detailed mechanism for an appeal, but argued that it was plain from Rules of Court 38.10 and 38.8 that the mechanism provided for the statutory appeal was that it was to be treated was a reclaiming motion and the Chapter 38 rules applied. That, it was said, must include the “discretionary power” under Rule of Court 38.10, meaning that on the face of the Rules of Court, there was therefore a power for the court to allow the statutory appeal under 8 section 27D to proceed, although late, if the court was satisfied that the conditions set out in the rule had been met. Counsel also pointed out that if there was no discretion in relation to the petitioner, there appeared to be an “inequality” in that it was only the petitioner who would excluded from reclaiming under section 28 of the 1988 Act, not the respondent. In relation to the merits of the motion to extend, counsel invited the court to exercise its discretion taking into account the fact that the appeal application was only “one day late”; there was “no prejudice” to the respondents and in any event the case was due to return to the Lord Ordinary for further procedure in respect of other matters. However, the judge refused the reclaiming motion as “incompetent”. In a written opinion, Lady Clark said: “Sections 27A – 27D, which were inserted into the 1988 Act by section 89 of the 2014 Act, introduced an initial threshold criteria or barrier for a petitioner seeking to bring an application to the supervisory jurisdiction of the court by way of Judicial Review. The new statutory provisions restricted the right of a petitioner to raise any Judicial Review proceedings regardless of merit or relevancy. “Section 27A introduced strict time limits albeit there is a specific dispensing provision in section 27A(1)(b) but only in relation to time limits for applications. A review provision in section 27C(2) sets out a strict time limit of seven days to request review of a decision at an oral hearing and it is made plain in section 27C(6) that in such a case, where there has been a refusal of a request to review, reclaiming under section 28 does not apply. This situation therefore is not covered by Rule of Court 38.8. “I consider that such an applicant who has had a refusal of a request to review, without an oral hearing, is left in a position that the court has no power to extend the seven-day period or relieve the applicant from a failure to apply timeously. Such an applicant therefore would have no further remedy regardless of compelling reasons which existed for the failure to request a review within the period of seven days. “An applicant who has had the advantage of an oral hearing may take advantage of the provisions in section 27D. The argument for the petitioner is that such a person is in a better positon, than the applicant who had no oral hearing, if the restricted time period of seven days is not obtempered because such appeals are to be treated as Reclaiming Motions and therefore such an applicant can rely on Rule of Court 38.10.